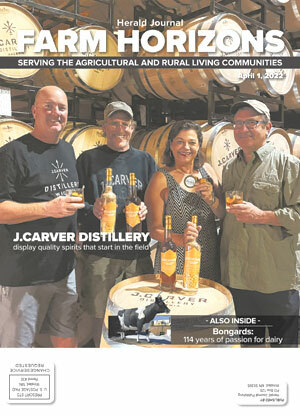 Farm Horizons is a special publication of the Herald Journal newspapers, published six times a year  in February, April, June, August, October, and December. If you live in McLeod, Wright, or Carver County, Minnesota, or nearby, and would like to be added to our distribution list at no charge, please send us your name and email address. We'll notify you each time a new edition is published. See the complete issue in its original layout.